We are definitely pleased with the dealership, especially with Olga since she helped us out to get a good deal and explained the features of the car. We are very pleased with this dealership! They made buying a vehicle more of a pleasure than a grueling task. From start to finish we felt well taken care of, never pushed or left to feel uncomfortable. We arrived just before closing and the sales woman, Olga, stayed late into the evening with us until we were all happy with the deal. We highly recommend this dealership for their honesty, their pleasant demeanor and their ethical sales tactics. 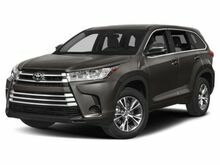 Toyota is really nice place to get good car is a lot car options great price great customer services and Olga is excellent seller friendly nice customer services . Olga was such a joy to work with! She made the experience so easy and fun! We would always recommend her to everyone we know! Arlington Toyota and Olga were great with helping to provide me with a new car. After my car was totaled after being hit by a semi I needed a car right away. Olga met me outside and worked quickly and effectively to help to get a car that I had seen online. I highly recommend Arlington Toyota to anyone seeking great service and great cars used or new! I had a great experience at this dealership. Everyone is very nice and helpful. I would recommend to all my friends. Great experience on my first purchase. Very friendly enviorment. Olga has great customer service, and provided very detailed instuctions regarding the car. She was awsome. she answered all our questions, and provided us important information. It was very pleasant to work with this Dealership. Olga Rusnicova was very professional and knowledge in Toyota products. I hugly recommend this place for all my friends and family. Ask for Olga, she will trade you like family member. In love with dealership ! Especially with Olga Rusnicova! She helped to choose the car and explained everything! We chose Toyota RAV 4 2019 ! You can’t go wrong with Toyota ? What a wonderful experience. I checked out 6 dealers, 3 of which were Toyota dealers. Ray (Reza), our car salesman, was the nicest and down the earth car salesman, I have ever dealt with in my life. Matt, who I have bought from before, was awesome in helping me buy the car of my lifetime. I typically buy new and drive it until it dies. I was at 176,000 miles when I got hit and the vehicle was totaled. 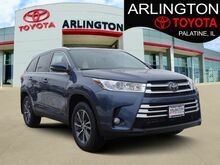 I came to look for a car, I actually fell in love with the exact car at another dealer, but the folks at Arlington Toyota worked with me, were friendly, and made sure I got the best deal and everything I wanted. They went out of their way to make the total car buying experience, one I typically despise, very, very positive. Even my wife, who cannot stand dealing with car salesmen, noted how positive this experience was. Ray is bar-none the best in class in his field, Matt has convinced this GM guy to go 100% Toyota, and I am very happy as a result. I am now a lifetime customer at Arlington Toyota, Thank you, Ray and Matt!! The customer service at this dealership was nothing short of amazing. Each person I interacted with made me feel like a valued customer. They truly worked with me to make sure I got what I wanted and at a price that worked for me. If I had do this all over again this would have been the only place I visited. I went in not knowing what to expect. At first we waited a while inside the dealership, approximately 10 minutes, and no one was assisting us. Ray approached us and very kindly assisted us with our purchase. Throughout the whole process, he was very very patient and I can?? ?t stress enough how important this was to us. It made our experience very smooth. I wouldn?? ?t have had it any other way. Ray really knocked it out of the park. Great experience. Stress free. Salesman Alex Dubinsky explained everything in easy to follow terms. Would definitely recommend to family and friends. Many new features which I am looking forward to. Went in to check out a new 4runner. They did not have my model in stock but worked with another dealer to get one there that same day. They were quick and honest with the negotiations. Ashly was very helpful in the entire car buying process. She answered all the questions that I had and went above and beyond to make my first car buying experience great. She was very willing to help me with anything I needed. Brad and Allen showed great patience and worked with us to provide the best deal that worked for us. We appreciate the professionalism and care shown! Elissa was absolutely wonderful during our company car search. Great communication, fair price, and best of all she holds up her word. We have now leased 4 company cars through Elissa and Arlington Toyota with the intention of leasing more in the future. If you want someone you can trust, go to Elissa. It was a pleasure to work with Olga. She was very up-beat and clearly cared about customer service. I'm glad we lucked out and bought the Outlander from her. Working with James, the sales manager, was also great. My dad came with and mentioned how nice he was today at Easter brunch. Quick Fair and Honest just like the title states. I started this transaction over a chat on Cars.com. The price and financing we agreed during our chat was fully honored when I walked through the door. No funny business. Because most of the deal was arranged before I even walked through the door I was in and out with my new truck in 2 hours!! Amazing! Staff was friendly and knowledgeable. This is my first Toyota and I will certainly buy from them again. 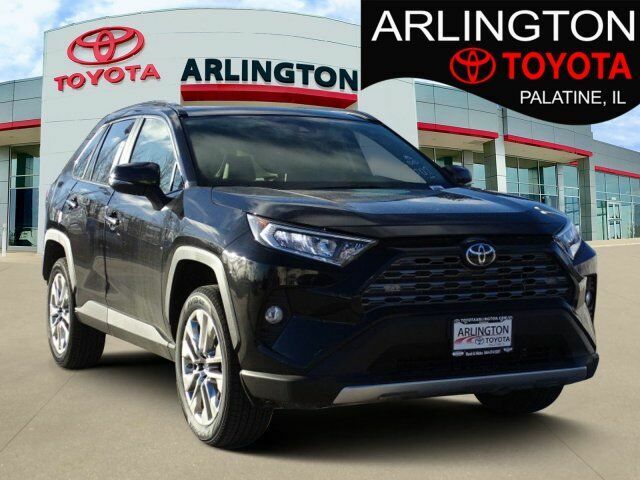 I just purchased a Toyota Rav4 from Arlington Toyota and I couldn't have been happier with the experience. 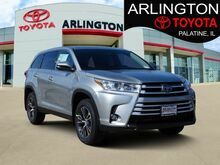 Fred Aziz was the sales person and he was probably the best car salesman that I have ever dealt with - I would highly recommend him if you are going to purchase a Toyota at Arlington Toyota. This is the 3rd car that I have purchased from this dealership and I have had good luck with both sales and service all 3 times. Came in to look at Toyota Tacoma's. Met with Ashley who was great. Ended up going with a 2019 with the rebate program and low apr from Toyota. Mike S. Was very helpful in teaching me the difference and Matthew was great in the finance department. They discounted some of the accessories and really took care of me. They also followed up the next day. I highly recommend them! I purchased my 3rd automobile at Arlington Toyota. It has been an excellent experience each time. Twice, my rep was Cristian Valdez who was very helpful and a very nice guy. Negotiated a very fair price for my Toyota Corolla. I was in and out of the dealership in less than one hour. I would highly recommend Arlington Toyota and will definitely purchase my next vehicle from there. My wife and I have bought all of our cars from Arlington Toyota dating all the way back to 2012. My latest purchase of my 2019 Midnight Black Toyota Avalon Touring was an exceptional experience considering I wasn't even thinking of trading in my mint condition 2015 Avalon Touring SE. After going back and forth with them, they offered me an offer I could not refuse along with a warranty from Mathew Tabatbai that was a no brainer to purchase easing my mind of any future car issues that may arise. 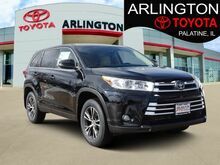 Toyota Arlington is the best place to go if you are looking for a a friendly and even family like car purchasing experience!!! I just bought a Camry on Tuesday and was very pleased with the overall customer service I received. I'm happy with my car, the price I paid, and the way I was treated. I also got way more than I expected for my trade in which was in pretty bad shape. I worked primarily with Dan who was very nice and moved the process along quickly. I believe the manager who assisted was named Raymond and he really went above and beyond. He had a very casual approach that didn't make me feel like I was being taken advantage of and worked with us to get a price I felt very comfortable paying. Raymond (I hope this is his name) was so nice when he learned I am a veteran and the pro-military/patriotic sentiment at this dealership is just so refreshing. This was the second car we have bought from Arlington Toyota (third Toyota vehicle though) and I plan on making all future purchases here. John, the manager, reached out and listened to my concerns and understood my point of view. Instead of coming up with an excuse, he asked and listened to my concerns. That is good customer service from a manager. He informed me that he has forward it onto his colleague Sandra, so that she brings it up during their next manager's meeting. Wow, what a day! We came in looking for a quick car that we could use for a couple years, but we came out with the car of our dreams. Thanks to Raymond Flores and Ashly! Prices were nice and we will definitely be coming back. a friend mentioned Arlington Toyota and am I glad they did!!!!!!!! of buying a new car that you love. Thanks for the fantastic experience Arlington Toyota. I was accompanying my friend who was in search for a car. After having visited multiple dealerships and having witnessed all kinds of customer service- from someone being laid back to the point that his old soul got annoyed after test driving one car, all the way to super aggressive pushy nonsense. Honestly, we were very exhausted and were expecting similar service from Arlington T. as well. I have to say it was a very comforting experience and all credit goes to Mr. Mike. He was very professional, offered all options without pushing unnecessary deals, took us on the highway for a drive- which is always preferred. We were no car expert but we had done our homework- Mike answered all our questions patiently and honestly, was a man of his word and in the end it was a pleasure being served by him. Couple of hours in and boom my friend was out the door with his new car. Great experience! - Check in on yelp for 15% off first service visit. This review is strictly for the service visit today. Our service rep Craig Cullen has always taken such good care of us anytime we needed to bring our car in for service. Today's visit brings our adaptable van for a 10K checkup where as before we were here for an issue for our daughters adaptive seat. In either case Craig has done what he needs to do to accommodate our vehicle & family in the shortest amount of time possible. From our buying experience with Derec who is extremely knowledgeable in the adaptive vehicle from Toyota mobility to Craig in service. You really can't go wrong at this dealership. And let me tell you it's few and far between I can actually say that about. As a previous sales person I feel like we've established a good relationship with our service rep. And to me that's where it's at! If you're in the market, be sure to give them a shot!